Il-Prim Ministru Joseph Muscat waqt il-mass meeting tal-PL quddiem Kastilja, fl-1 ta' Mejju 2017 ihabbar id-data tal-elezzjoni generali li se tkun is-Sibt 3 ta' Gunju. Dokumenti tal-vot li baqghu ma ngabrux. Dr Busuttil qal li jappoġġja l-proposta tal-festi pubbliċi, iżda rrimarka li dan sar mingħajr konsultazzjoni mal-General Retailers and Traders Union (GRTU) u l-Kamra tal-Kummerċ, u għalhekk mingħajr qbil mal-imsieħba soċjali. Enfasizza li Dr Muscat impona u mhux iddiskuta. Dwar l-€10,000 lil kull familja li tmur toqgħod Għawdex, Dr Busuttil qal biss li l-ewwel jiftaħ sejħa għaliha, u skont il-konkorrenza jalloka baġit. Ma tax dettalji dwar kemm Gvern Nazzjonalista jalloka flus għal din il-miżura. Għall-mistoqsijiet tal-ġurnalisti, Simon Busuttil ma kkommettiex ruħu jekk Gvern Nazzjonalista jwaqqafx l-iskema tal-bejgħ taċ-ċittadinanza b'investiment. Spjega li la jnaddafha mill-ħmieġ li Keith Schembri daħħal fiha, bl-allegazzjonijiet li rċieva flus minn bejgħ ta’ ċittadinanzi lil persuni Russi, jikkunsidra jmexxi minn hemm. Nationalist leader Simon Busuttil made no mention of his political future this evening hours after his party suffered a second massive defeat at the hands of the Labour Party. He told a Net TV interviewer that the Nationalist Party will start an internal process in the wake of the general election result to ensure that it remains a strong opposition. He said that in the electoral campaign, the PN represented the values it believes in, which are the truth and good governance. "We have shown a beacon of hope on what we and many people believe in. My message is for this beacon to be kept alight and going because it would be a mistake to extinguish it now," Dr Busuttil said. Dr Busuttil thanked all those who had helped the PN in its campaign. Dr Busuttil led the PN to his first election as leader in yesterday's general election but the unexpected landslide defeat could force him to reconsider his position. The former MEP and lawyer took over from Lawrence Gonzi in 2013 following another major defeat to Joseph Muscat's Labour Party. He briefly served as deputy leader under Dr Gonzi just before the 2013 election. He had been elected a Nationalist MEP in 2004 and 2009. Asked during the campaign whether he would reconsider his political future if faced with a major defeat, Dr Busuttil remained non-committal. Ic-celebrazzjonijet kbar bdew spontanjament hekk kif griet l-ahbar tar-rebha Laburista. Therese Comodini Cachia l-ewwel tigi eletta imbaghad tirrifjuta s-siggu fil-Parlament biex tkompli xogholha bhala MEP. Il-Partit Laburista jaghmel l-argumenti tieghu kontra d-decizjoni li jinghataw zewg siggijiet zejda lill-PN. Fl-20 ta' Gunju 2017 saru l-elezzjonijiet kazwali biex jigu eletti kandidati Laburisti biex jiehdu l-postijiet ta' dawk li gew eletti minn zewg distretti. Fil-21 ta' Gunju 2017 saru l-elezzjonijiet kazwali biex jigu eletti kandidati Nazzjonalisti biex jiehdu l-postijiet ta' dawk li gew eletti minn zewg distretti. The seeds of the Nationalist Party’s second disastrous showing in a general election were sown in 2013. Following those elections, a battered and bruised PN instigated a post-mortem inquiry into why it had lost so abysmally. One of the key findings highlighted in the report was that voters had been repelled by the stream of vitriol spewed by Daphne Caruana Galizia against members of the Labour Party. It was suggested that, in future, the PN should distance itself from her and, indeed, that the party should formally disassociate itself from her particular brand of divisive and insulting politics. Four years later, the PN found itself fighting another election, focusing its campaign solely on the important but nebulous concept of “good governance” at a time when voters were enjoying the greatest prosperity in Malta’s history. An ineptly led PN, bereft of new ideas, allowed blogger Caruana Galizia to dictate the terms of political engagement. It was a general election theirs to contest with a chance of reducing the margin of defeat. Instead, another landslide victory for Labour ensued. To misquote Oscar Wilde: to lose one general election by a landslide may be a misfortune; to lose two in a row by a bigger landslide looks like gross carelessness. Although there are many reasons for this second defeat – not least battling the power of incumbency which any party in government exercises – the principal reason for this last PN debacle must be laid firmly at Caruana Galizia’s door and a party leadership that was content to dance to her tune. She accepts no view of politics in Malta except the one she espouses: visceral hatred for the Labour Party and anyone who supports it. In her blind loathing of Labour, she cannot see the harm that her hate inflicts on the Nationalist cause. There is something demented and unbalanced about her snobbishly outdated contempt for the Maltese on the basis of class. Sadly, she has come to epitomise the PN. The blogger has remained pathetically stuck in a poisonous groove and, in this election, despite, or as a result of, her outstanding Panama Papers scoop, she came to represent the surviving, unacceptable face of the Nationalist Party, whose personal attacks alienated so many former party voters. She contributed significantly to its downfall. The Nationalist leadership dared not disassociate itself from her since she set their agenda and controlled their information life-support machine. In collusion with Simon Busuttil, she – and the other foul-mouthed elements that he mistakenly allowed free rein to articulate the PN case – must be held accountable for the debacle on June 3. 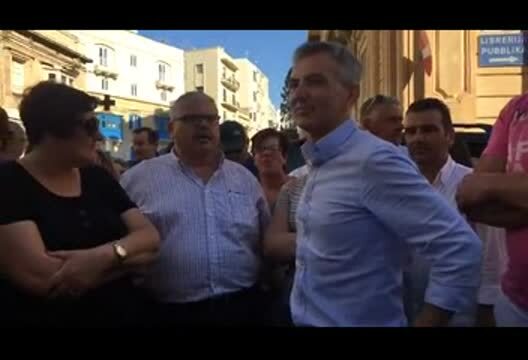 Busuttil, a likeable but weak leader, allowed himself to be led by the nose by a partisan and toxic blogger who convinced him and his supporters on the basis of only circumstantial evidence – which has not yet passed any test in a court of law – that the Prime Minister, his wife and his two closest advisers have been complicit in major acts of corruption. The PN’s insistent cries about a corrupt government and their call on thousands of their core supporters to take to the streets may have been part and parcel of the stuff of local confrontational politics but it had about it an unsavoury whiff of hypocrisy and opportunism that spectacularly failed to persuade the electorate and has, as a direct consequence, hurt Malta internationally. (Spoiler alert: this said, I have to qualify what I say by recording that if, like Cassandra, Caruana Galizia proves to have been right all along in her allegations of corruption by the Prime Minister, his wife or any other minister, I shall be the first to demand they should be removed and take the full consequences of the law.) If the opposite of the audacity of hope is the cowardice of fear then, thanks to the dog-whistle prompting of this notorious blogger – she whistled and the dogs came to heel – this became the PN’s campaign of choice with its repeated cries of “corrupt” and “corruption” based on her allegations and speculations. It formed the core of a campaign of mudslinging, insinuation and disinformation modelled on the Breitbart assault on Hillary Clinton. The PN ran a negative election campaign based on personal attacks on the Prime Minister and his family. Harking back to the old politics of negativity of the 1980s, it was doomed to fail. The PN forgot that the key to success in any general election is to mobilise the enthusiasm of voters. As the PN should have realised – thanks largely to the redoubtable Eddie Fenech Adami – Malta has grown up over the last 30 years. With the PN speaking only to themselves in their echo-chamber and gripped by a massive dose of ‘groupthink’, Busuttil adopted irrational actions, ignoring more productive alternatives. There was something distinctly nasty about the PN strategy. Throughout the campaign, it seemed incapable of breaking away from the agenda which was drip-fed to them by the blogger. Nobody can dispute that the PN’s call for better – let alone good – governance in Malta was absolutely right but the way it was presented and the conspicuously flagrant source of the evidence on which it was based undermined the message. The PN ignored to their cost that there are other political fundamentals at work during an election. The first is that voters do not trust politicians. They are innately suspicious of politicians of whatever party who think they own the moral high ground. The cries about the need for good governance simply reminded them of the poor governance they had suffered under successive Nationalist administrations over a period of 25 years. Secondly, that, despite the undoubted likeability of Busuttil, the PN still has not lost its ‘nasty party’ reputation. Large sections of the electorate – including the all-important switchers – dislike the PN. The perception that Caruana Galizia was calling the shots simply reinforced the contaminated brand. Her ad hominem remarks, many of them unfairly directed at prominent Labour women, further strengthened the corrosive impression of a party in hock to the blogger. The PN implicitly and explicitly collaborated with the blogger in creating a crescendo of rumour, insinuation and innuendo that was more malign than truthful. As a politician supposedly standing on a platform of probity and honesty in public life, Busuttil should have set the bar higher in establishing the burden of proof and selected his allies more wisely. Like Mary Queen of Scots when she lost Calais to the French in 1558, Busuttil may well say: “When I am dead, you will find the letters DCG engraved on my heart.” Unless the PN publicly and irrevocably distances itself from Caruana Galizia, the once great party of Ġorġ Borg Olivier and Fenech Adami is in grave danger of not achieving office again until 2027.